The new Anschutz 54.30 smallbore target barreled action features a threaded receiver and barrel — a change from the past (when barrels were pressed and pinned). The new 54.30 action has many other important design improvements. The loading port was moved 30mm rewards and was reduced in size by 18%, resulting in a more rigid receiver. The closer location of the loading port is more ergonomic, allowing less movement when in position. The weight of the firing pin was reduced, resulting in a velocity increase of the firing pin and a shorter lock-time. Anschutz also claims that a newly-designed barrel chamber improves overall accuracy. The new 54.30 match action can be installed into all available stocks which fit Anschutz round match actions such as the 1907 or 1913. Dentler has introduced an interesting modular scope mounting system that allows you to quickly switch optics while retaining zero. The system offers many variations for scope height, optic type, and fore-aft position. Dentler claims this system offers 100% repeatable zeroes. Watch the video to see how the BASIS VARIO mounting system works. This is a smart use of recycled rubber materials. CK Technology of Belgium has created a new bullet trap that uses small rubber beads to capture bullets. The granular bullet trap is made of rubber granulates placed on an inclined galvanized steel plate. It offers many advantages compared to traditional steel bullet traps– most importantly there is less pollution, reduced noise, and most importantly, bullets are captured intact so there are no ricochets. This system works for up to .50 caliber bullets, and can be installed indoors or outdoors. The CK bullet trap takes up less space than a conventional steel bullet trap — an advantage for indoor ranges. SIUS AG is a leader in electronic scoring technology, and the new SA951 control/display unit represents the state of the art. The latest generation SA951 is designed for all types of pistols and rifles, centerfire, rimfire, and airguns. SIUS states the the SA951 is currently the only unit with ISSF Phase III approval for all types of firearms and airguns. The SA951 features a sharp 10.5-inch color touchscreen that permits the competitor to see his/her targets and easily navigate a variety of functions — all with the touch of a finger. Using the control menu and selecting programms and screens is easy, quick and intuitive. The control unit can also be operated via the remote control or the proven barcode scanner. This allows users the same kind of operation as with predecessor models SA931/SA941. This is one serious wheelgun. The new Korth Super Sport Revolver is big and beefy with Picatinny-type rails on top and on both sides of the barrel. Chambered for .357 Magnum, this gun was designed for used in action matches such as the Bianchi Cup. Weighing a hefty 3.64 pounds (1.652 kg), the Korth Super Sport is over 11 inches long, without compensator. This gun has many innovative features, including: externally adjustable hammer spring, externally adjustable double-action cycle (with pressure point wheel), adjustable iron sights, and quick-change cylinder (for caliber change to .38 Special or 9mm Para). Here’s video of the gun being shot at the SHOT Show Media Day event in January. Svensk Jaktvision of Sweden offers a handy product that mounts a smartphone above your rifle-scope. This product is designed for hunters who want to record their experience in the wild. But the system is also useful for marksmanship training. The top-mounted smartphone screen allows a coach/instructor to see how the rifle moves in the hands of the trainee. Watch the video to see how the Jaktvision PhoneCam holder can be employed in the field. Share the post "IWA Outdoor Classics Trade Show Wrap-Up from Germany"
We recently showed a video of an incident at a pistol match that easily could have resulted in the death of a range worker. If you watched that video, you’ll understand that one momentary oversight is all it takes to put someone in the hospital (or the morgue). That’s why shooters should be prepared for the worst. 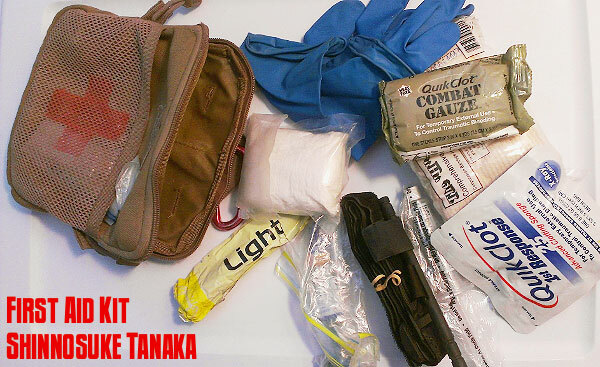 Get first-aid training, and carry a basic first-aid kit whenever you go to the range. Share the post "When the Worst Happens — Responding to Gunshot Injuries"
At the IWA Trade Show in Germany a few years ago, a correspondent for The Firearm Blog interviewed Woody Woodall, who runs Lothar Walther’s USA operation. While many shooters assume that Walther hammer-forges most of its barrels like some other European barrel-makers, in fact Lothar Walther USA uses the button rifling technique for most of its US-made barrels. Credit The Firearm Blog for this informative interview. Share the post "Barrel-Making Methods Explained in Walther Video"